Chad Friesleben submitted this photo. 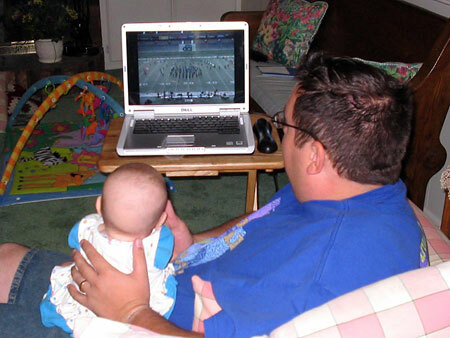 This photo is of me and my daughter, Caitlyn, watching the live WebCast from the Indianapolis major event on July 21. At only five months old, she is already a drum corps veteran, having attended two shows this season.